Since its establishment in 2000, Experteam is offering service in business applications and information technologies. Started to operate in 2000 with just 6 people, Experteam has reached a team of over more than 300 members with an expertise-oriented growth and become a leading company in its field. With the number of realized projects, offered expert services, number of consultants, a broad solution portfolio and expertise, Experteam is one of the biggest Turkish solution partners of multi-national corporations operating in Turkey. The principles of solution generating, rationalist and hard-working and customer satisfaction oriented operation underlie Experteam’s increasing success. 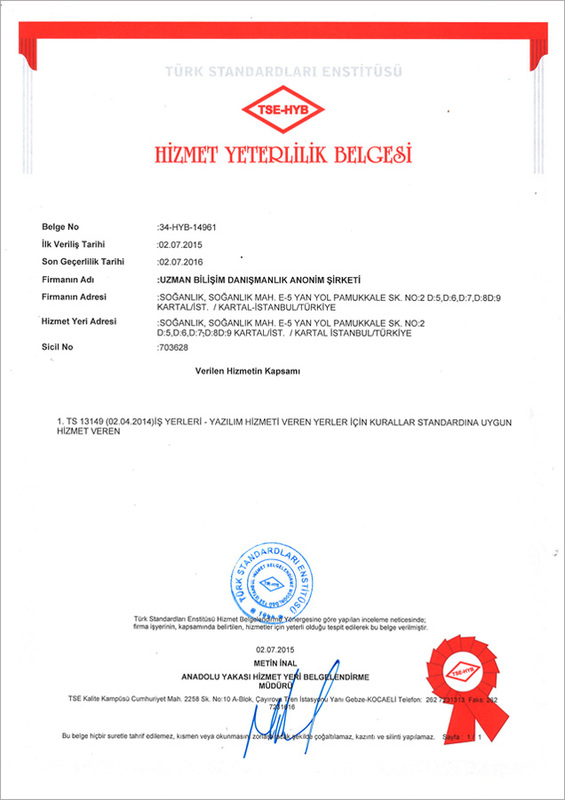 Oracle classifies Experteam at the level of Platinum Partner, the highest level in Turkey. Upon the completion of project, Experteam offers uninterrupted, productive and quality maintenance services required by the living systems of customers, in line with ITIL service management processes through Experteam Service Center (ESC), which is certified with ISO 27001 Information Security. Since 2000, Experteam is realizing projects in the field of enterprise business applications. Experteam transfers its long experience and broad expertise to new projects and creates the most appropriate, accurate and fastest solutions depending on objectives and vision of customers. With over 300 consultants, Experteam develops projects in a wide range of product portfolio. It offers service for customers with project teams equipped with proper sectoral and technical experience. Also, Experteam recruits well-trained new graduates and trains, develops and introduces them to the sector. Experteam closely follows its consultants to complete their expertise certification processes in their fields and develop their technical competencies. At the same time, Experteam improves their expertise by way of trainings and exchange of project experiences within the team. In its projects, Experteam uses and efficiently applies the Experteam Project Management methodology (XPM), the project management and implementation methodology. Also, Experteam blends the wide range of options offered by the XPM in a most suitable way depending on corporate culture and scope of the project of its customers and thus shapes project management processes. The methodologies that are customized based on application implementations, version upgrades and migration projects with its experience over 180 projects underlie Experteam’s success in projects.